so I know Hunger Games is old news by now, but I've been pretty lazy and keep forgetting to blog about the shirt I made for it. 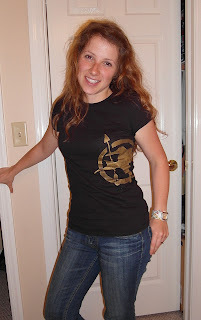 The hubby and I happen to be lucky to go opening weekend, but that meant I wanted a shirt. Nothing better than making one myself and with some friends who are as crazy as me. Seriously, what I planned to do for my shirt wasn't nearly as cool as what these gals inspired me to do. 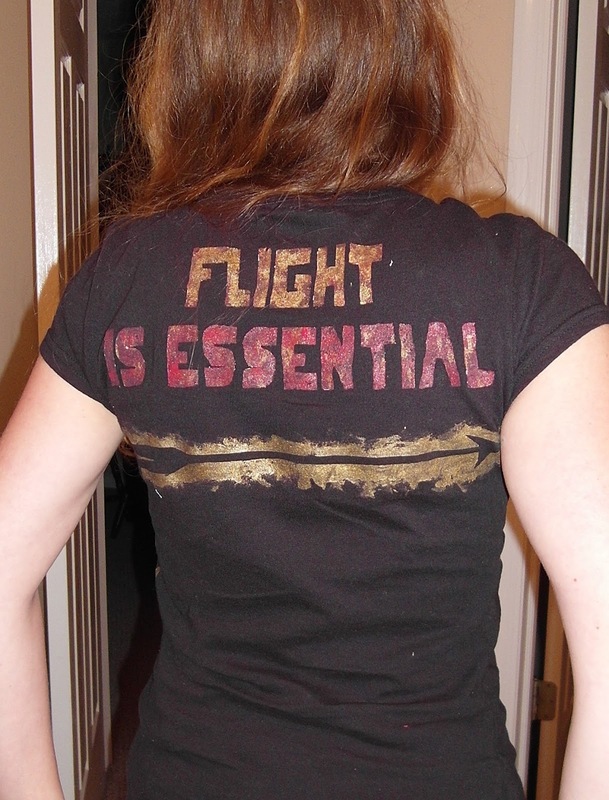 We did the mockingjay on the front and on the back we used the quote "flight is essential". Unfortunately, all of us ladies couldn't go to the movie together, but two of us were able to go with our hubby's to the same showing. The hubs asked me why I needed a shirt, I told him it was going to be my running shirt to help me to think of someone chasing me when I wanted to stop. Sometimes motivation to keep running comes from crazy places. quick movie report: We loved the movie and definitely cried. 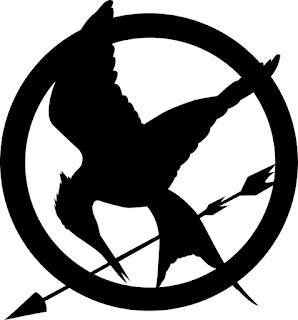 Actually, I liked the movie better than the book, maybe because it left out some of the graphic imagery and I wasn't able to hear Katniss' thoughts (sorry, but she makes me go a little crazy by the end). On a more serious note, Hunger Games is such a humbling story and makes me so grateful for what I have and hopefully makes me more empathetic of others. Aw, fun shirts and fun times! I liked the placement on the side of the shirt. I love your shirt!! I wish I had made one. Maybe for the next movie!